Aside from Mass Effect, it’s clear Dragon Age has been Bioware’s other big franchise since the first game rocked the video game world back in 2009. Granted, 2011’s Dragon Age II got a lukewarm response from fans as it sacrificed the depth of the original for greater accessibility, while the more recent Dragon Age: Inquisition won many Game of the Year awards despite its often tedious gameplay, lack of great characters and other issues. Dragon Age still remains in many gamers’ minds, though, who’ve likely been longing for another sequel since Inquisition burst into the scene back in 2014. Also interesting is the fact that there hasn’t been a Dragon Age release exclusively for current-gen consoles yet (Dragon Age: Inquisition was a cross-platform release and was also available on Xbox 360 and PS3). And after 4 years without a Dragon Age game, it’s likely fans are eager for Bioware to announce the next game in the series now. And this is something that could be happening sooner than you might expect. Bioware itself recently admitted a new Dragon Age project is in the works, while General Manager Casey Hudson wrote on the Bioware blog (via GameSpot) that the Canadian dev would make a Dragon Age-related statement soon. “If you’ve been following these blogs, or myself and Mark Darrah on Twitter, you know we’re also working on some secret Dragon Age stuff. Dragon Age is an incredibly important franchise in our studio, and we’re excited to continue its legacy. Look for more on this in the coming month (though I won’t tell you where to look…)”, said Hudson. Such a reveal (maybe of a new Dragon Age game) could take place at this year’s Game Awards, as several big games have been announced at the show over the years. Also, Dragon Age: Inquisition was crowned Game of the Year at the Game Awards back in 2014 too. 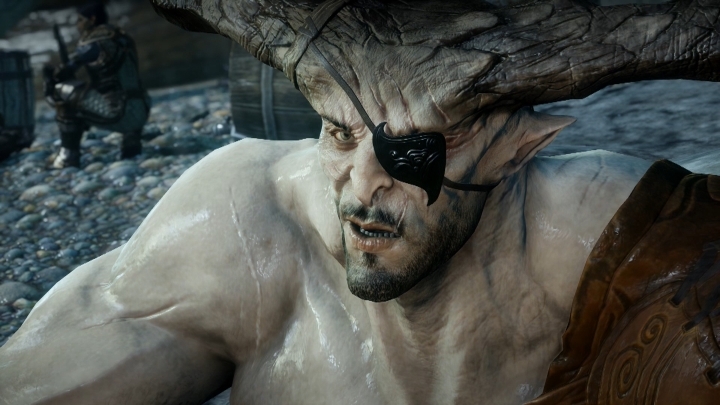 The thing is, will a new Dragon Age game live up to its predecessors, especially 2009’s superb Dragon Age: Origins? Some may fear that Bioware has lost its magic touch, especially taking into account what a disappointment Mass Effect Andromeda was last year. And it’s clear that Bioware is in no position to shift development to another major game as it’s putting the finishing touches on Anthem now, a game the Canadian company desperately needs to succeed after Andromeda failed to set the world alight in 2017. Plus, there’s also a possibility that Bioware is not planning to announce another major, open-world RPG this month, but rather something else entirely, perhaps a Dragon Age mobile game as Blizzard did last month with Diablo Immortal (this is something which might not endear Bioware to its fans though…). Hopefully, though, if a new Dragon Age game is announced this December it will turn out to be another good entry in the series when it arrives in the future.